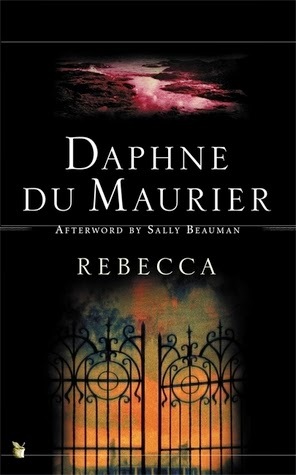 These few simple words open Daphne du Maurier’s legendary novel “Rebecca”. A hauntingly beautiful tale of love, revenge, and desperation. For me, it is a ghost story where the ghost never appears. Instead the lead heroine is haunted by the shadow of her new husband’s first wife, Rebecca. Everyone loved Rebecca, especially the housekeeper who runs Manderley with a seemingly iron fist. Our heroine finds herself wandering the halls where Rebecca walked with grace and dignity. Her unseen predecessor’s mark is everywhere, including on Max her husband. Everyone speaks of Max and Rebecca’s love and devotion to each other. And it is this undying love that makes it impossible for Max to bear to see or hear anything about his dearly beloved dead wife. Or is it? Mysteries abound within the walls of Manderley. Especially on one fateful night when a ship is wrecked in the cove near the great manor. As the rescuers search for survivors of the damaged vessel, they make a terrifying discovery. The boat that Rebecca had sailed on is found at the bottom of the cove with a body still inside it. However, Max had positively identified Rebecca’s body some months earlier when it had washed ashore some miles up the coast. So who’s body has been found and why is Max suddenly acting like a cloud of doom over his head. What hold does the dead Rebecca have over him? And can it be dispelled once and for all? The twists and turns in Daphne du Maurier’s classic tale, set in the 1930’s, is beyond reproach. A modern day tale with all the trimmings of a true gothic tale, this book is one that the reader will find hard to put down. A true classic and worth reading again and again. This scene takes up exactly where my last entry leaves off. It also brings us full-circle to the prologue that i posted a few weeks back. Let me know if you all want some more of my mystery/horror/sci-fi novel “The Bridge” or a sample of one of the sequels to it. Again I apologize for the strange-looking breaks and paragraph shapes. WP just seems to love messing with the format of things I copy and paste here from MS Word. The teenager opened her mouth and brackish water spilled out. The ghostly figure shook her head in disagreement. “Did you kill my Uncle Jason?” asked Julie, breaking her silence. Rachel shook her head again. The dead girl replied by grabbing the lapels of the jacket and pulling them closer. “It’s the jacket. She’s been trying to get to Alex, but the jacket has kept changing hands,” said a voice nearby. All heads turned to look at Cassandra. The heiress’ eyes had taken on a strange look that made those standing near her shudder. “Are you saying she’s haunting the jacket Miss Elliott?” asked Roy incredulously. Cassandra nodded apologetically. “Yeah, I still wasn’t myself at the time though. Julie shook her head. This was all getting too much for her, yet at the same time it made a strange kind of sense. “If Alex is psychic why couldn’t he tell Rachel was…” she gestured at the dead teen. Nearby, Officer Patrick Danson began to stir. The drowned teen looked over at her and tried to speak. But, once more only dark water spilled out of her mouth. The girl nodded and began to open the jacket, just as Danson opened his eyes and spotted her. Scrambling to his feet he grabbed the nearest person, who happened to be Cassandra, and threw her at the nightmare figure. Then he raced down the corridor screaming before anyone could stop him. Julie watched in horror as time seemed to slow and the heiress went head first into Rachel’s chest, which rippled as if it were made of water. For a moment no one could move or speak as Cassandra slowly plunged further and further into the teen’s torso. The moment was finally broken when Julie lunged forward and grabbed the heiress by the ankle. Roy followed suit and grabbed the other one. Together they prevented the woman from being swallowed, but at the same time, they could not pull her out. As the phantasm stared at the back half of the woman who was now sticking out of her, while Ronnie called out to Cassandra to see if she was all right. Upon receiving no reply, she slowly moved around Rachel to see what was going on. Suddenly, her hands flew up to her mouth. “Is she okay?” asked Roy, tightening his grip. Just then Julie and Roy were yanked forward. Something or someone was pulling from the other side. Cassandra found herself under dark water. A flash of light above showed her she was not far from the surface. With a lunge she broke through and gasped. Rain struck her face as thunder and lightning raged all around her. How had she gotten here? And why could she feel someone grabbing her ankles? She reached under the water to see what was going only to find a set of exposed rib bones encasing her waist. She tried not to panic, but it was an uphill battle. The cool rain hitting her face helped to calm her. Bravely she looked around and gasped. Looming over her head she saw the all familiar shape of the bridge. I’m at the Graham estate, she thought. “How did I…” she began when a banshee-like wail pierced the night and her psyche. A second later, lightning lit area and she spotted a limping figure heading towards the bridge. It was Alex, but he wasn’t alone. Standing on top of the slope was a girl with long dark hair. At first Cassie thought it might be Rachel, but quickly realized this was not the case. Waves of evil hatred were pouring out of this girl as she stared murderously at the Alex’s fleeing form. As the heiress watched helplessly, she heard the stones of the ancient bridge groan. Then, out of the corner of her eye she thought see spotted movement among the stonework. Suddenly, she was pulled back under the water just as Alex reached the bridge and collapsed. Cassie found herself on the floor of the police station and spitting up water. As she lay there coughing, a pair of strong arms reached around her middle and squeezed. Another great gulp of water was forced out of her and she was able to breathe once more. Cassie looked up and saw the object of her affection and Chief Peterson studying her anxiously. “I’m okay…” she nodded and coughed again. “What happened? Where were you?” asked Veronica joining them.